I was in middle school when Super Smash Bros came out on N64. To say that I loved this game would be an understatement. I loved the characters (Kirby was my main), the maps, the thrill of the competition, all of it. So, when my local Blockbuster announced they were hosting a Smash tournament, I was excited to show off my skills and meet others who loved Smash as much as I did. This was my first gaming event, and it turned out to be a pivotal experience in my life — as a gamer and in my career. I had spent weeks before the event perfecting my combos and was ready to take on the competition. As the event got started, one of the guys in the crowd smirked at me and said, “Get out of here. Girls don’t game.” I’ll never forget how much his words stung as his buddies laughed at me. I glanced around and noticed that I was the only girl there. Feeling out of place — like somehow because I was a female I had less of a right to be there — I stood up to leave. That’s when I heard another voice say, “Let her play.” I could see that the clear and assertive voice belonged to a guy at the back of the room whose blue baseball cap bobbed far above the crowd. That shut up the bullies quick. Even though I got knocked out the first match, it didn’t matter — I was incredibly happy to be there and play my favorite game with others who loved it too. To the guy in the baseball cap, my 11-year-old self was too shy to mention but thank you for being one of reasons why I’m a huge gamer today. In fact, I love gaming so much that I made a career out of it. With a background in market research, I joined EA’s Global Consumer Insights team two years ago where my role is to help better understand player opinions and attitudes through research, online surveys, focus groups, and interviews. 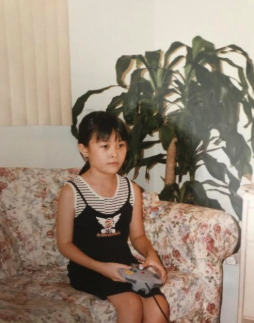 And second, to give a voice to the many players who want to see themselves and their identities represented in video games — people like my 11-year-old self, who want to play but don’t always feel included in the gaming community. The findings outlined below are from an online survey sent out to US gamers in May 2018. 2,252 individuals took the survey, ranging from 13–54 years old, who own and play games on console/PC, and who are decision makers in entertainment purchases. Despite having interest in playing games socially, female players face more barriers to playing online multiplayer. Managing disruptive player behavior can help knock down those barriers. It turns out that inclusion isn’t just nice to have in game. In fact, a majority (56%) of players say it’s important to them that games are inclusive. These players also say that they are more likely to play games that get inclusion right. When asked if they would play a game with features such as customization for females and diverse ethnic backgrounds, diverse storytelling from different perspectives, and accessibility to those with special needs, roughly 45% of players report being even more likely to play that game. While backlash against efforts to be inclusive in gaming can seem loud at times, it comes from a minority of players. Only 7% of players report being less likely to play a game if it contains inclusive features. These findings should validate and encourage game developers to incorporate inclusive content in their games. This could be in the form of customization features that represent all genders, ethnicities, and identities, storytelling from different points of views, or more granular control settings to accommodate players with special needs. Despite the notable increase in representation, many players stress that diversity and inclusion shouldn’t simply be a check box for game developers and that it should come from a genuine place. They don’t just want to see more variety of characters. They also want those characters to seem authentic and have substantial, meaningful roles instead of falling into stereotypes. For example, many female players say they want to see female characters have just as in-depth of stories and look like real women — not just eye candy. As one player said in the survey, “Make it so that you can choose a character’s gender and have them be equal to the male characters in term of story significance.” Players don’t want to be penalized by getting a watered-down version of a role or story for choosing to play someone who looks like them. Some female players also mention the need for a variety of functionality in roles, as they may prefer healing their teammates or defending a point, as opposed to attacking, killing, or shooting (which have been the more standard ways to win in games since, well, forever). Players from underrepresented ethnic groups emphasize the need for authenticity in cultural representation. As one Latino player puts it, he doesn’t want “developers to have to include my culture in just as a check mark on their clipboard.” Many of these players are jaded from seeing characters from their background being stereotyped. Instead, they say they want unconventional storytelling from different point of views. While game companies should keep authenticity in mind in game development, they should also tackle this issue at its grassroots. Representation ultimately originates from an industry workforce. As creative professionals, game developers frequently draw from their own personal experiences when creating content. With a diverse player audience comes a need for a wide breadth of content in storytelling, character roles, and customization. To get to a wide breadth of content, it helps to have creators and developers from different backgrounds, identities, and cultures. As a hiring manager myself, I’ve found it beneficial to have diversity training that help each of us do our part in diversifying the gaming workforce. While representation has been getting better, our research tells us that players perceive that behavior and toxicity management have not improved much. Many of us who have played an online multiplayer game or mode will know that it’s not uncommon to experience trolling or worse from other players. Our research reveals that three out of five players are concerned with toxicity (in the form of abusive chat, hate speech, sexism, or racism in gaming), and that toxicity is only second to the top concern, which is game quality. Apart from players feeling concerned about toxicity, disruptive player behavior is also flat out ruining the game experience for some people. Fourteen percent of players report they stopped enjoying a game due to an unfriendly community. Despite these types of efforts, over 60% of players report that they feel in-game player behavior and toxicity management has either stayed the same or worsened over the past two years. The solution to mitigating disruptive behavior isn’t “one size fits all.” Each game is unique and faces its own set of challenges. Trash talk might be acceptable in the culture of a sports game, but not as much in other more cooperative or social game genres. Throwing competitive matches might not matter if you’re a one-person team, but once you’re in a larger group that depends on everyone cooperating and pulling their weight, sabotaging has a huge, negative impact. Because understanding player behavior is so nebulous and contextual, it may be helpful for developers to knowledge-share their thoughts, data, and approaches on combating bad player behavior. The Fair Play Alliance is an excellent example of how developers can join to exchange insights and best practices. There is a big opportunity to manage disruptive behavior and toxicity, as these are the areas where players think the industry has least improved but are important to get right. Considering that most console and PC games have social components to them — in fact, many of these games depend on voice chat as a winning strategy — managing disruptive behavior and toxicity should be a priority focus for all game developers working on multiplayer games. Toxicity impacts some audiences more than others. While female players game with others in person just as much as male players, they don’t play as much socially online — especially when there is any risk of playing with strangers. Looking at some of their reasons for this, many of them cite bad behavior and toxicity from other players. Female players, on average, face significantly more barriers to enjoying a video game. Some of their top barriers mirror the top barriers of all players — notably, game difficulty and unfriendly player community. Distinctively, female players are 2x more likely than their male counterparts to feel less confident when playing. Adding in the fact that female players feel deterred to play online multiplayer, it becomes a vicious cycle: when they experience toxic behavior from other players, they avoid playing and become less confident in their skills because they have fewer welcoming opportunities to play in the first place. An effective way to help knock down those barriers is to reduce disruptive behavior. According to players who don’t play online multiplayer games, it’s the top factor that would make them reconsider playing. Knowing all of this, there’s an opportunity for game developers to think of ways to shape player behavior to be more encouraging and positive to not just female players but everyone — new players, players of all ages, ethnicities, and identities. As for players, there’s always the golden rule: treat another player how you want to be treated. Arming game developers of all sizes with these insights can give them the conviction to thoughtfully consider how to make games more inclusive for everyone. We hear loud and clear that the majority of players consider inclusion an important factor that can influence their decision to play a game, but there is still much to understand about disruptive behavior and toxicity. The next step of the research will focus on defining disruptive behavior, identifying what causes it, and determining what the most effective consequences should be. I plan on continuing to share those results with other gaming professionals in hopes of encouraging healthy and inclusive social spaces in games across the industry. Above all, politics and social movements aside, my hope is that gaming should be for everyone. So, let’s all do what we can to create game experiences that are inclusive to all. Official Medium account for EA. Go to EA.com or @EA on Twitter for updates on all your favorite EA games. For account help, visit http://help.ea.com.